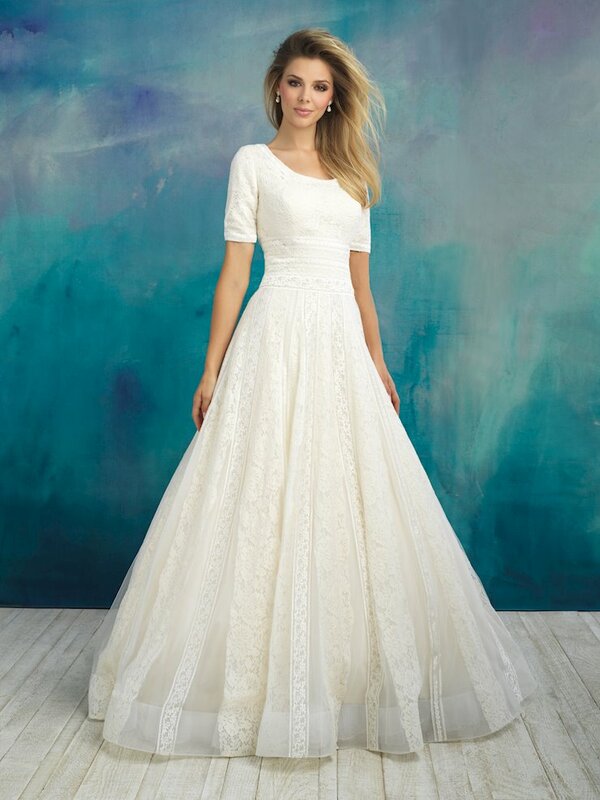 The classic gowns in the Allure Modest 2018 bridal collection provide more coverage in the form of stylish high necklines and feminine sleeves. 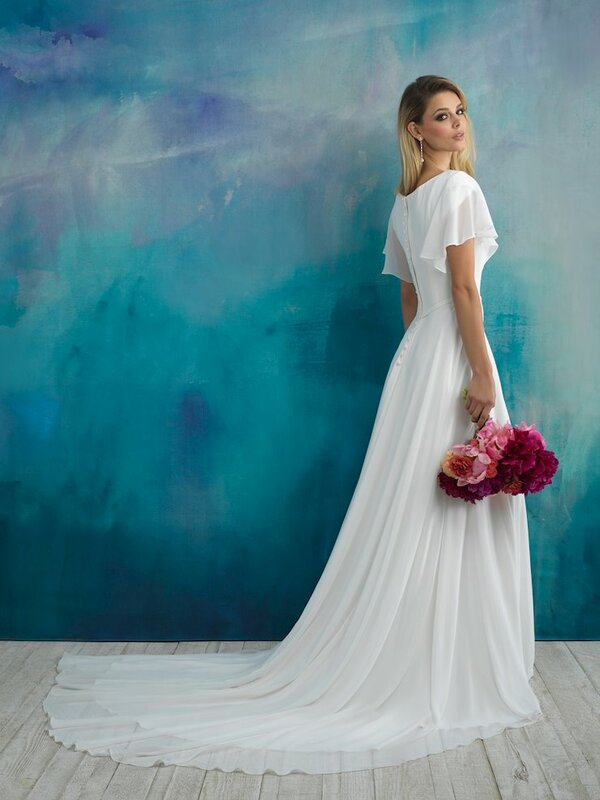 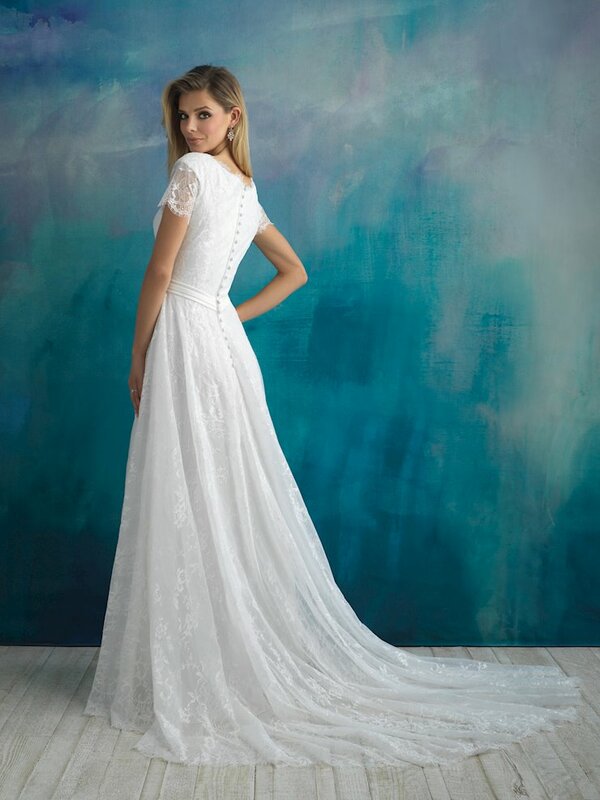 These gorgeous wedding gowns offer modest brides the silhouette they are comfortable with without sacrificing style! 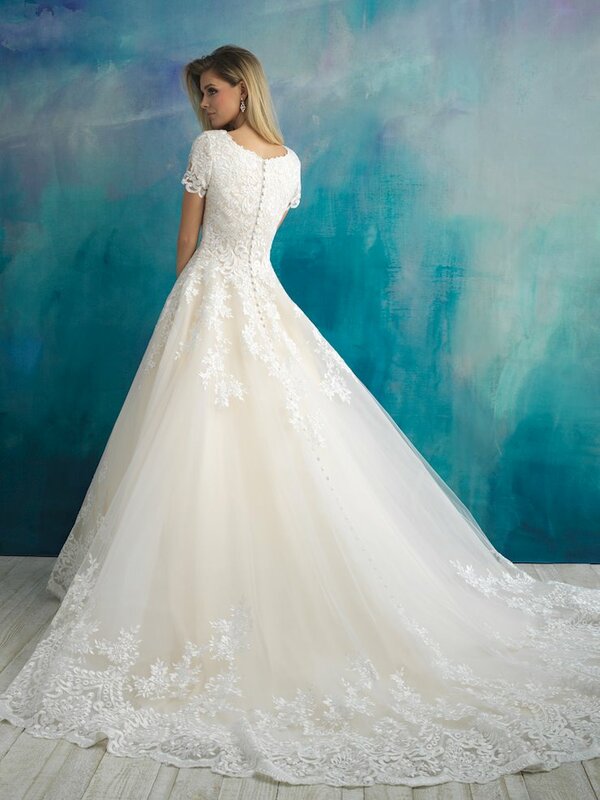 Book an appointment and visit Regiss in Louisville, Glasgow, Owensboro or Bowling Green, Kentucky to shop the beatiful wedding dresses in the Allure Modest 2018 collection and find your dream wedding dress today!